We had a massive turnout yesterday for the USGWA/USBWA Nationals and our "strength in numbers" prevailed as we swept the Team Championship Banners with our Wildcat boys scored 81 points to outdistance 2nd place Napa SAL with 40 points and our Lady Wildcats scored 91 points outpacing Creekside of Castro Valley who finished 2nd with 26 points. 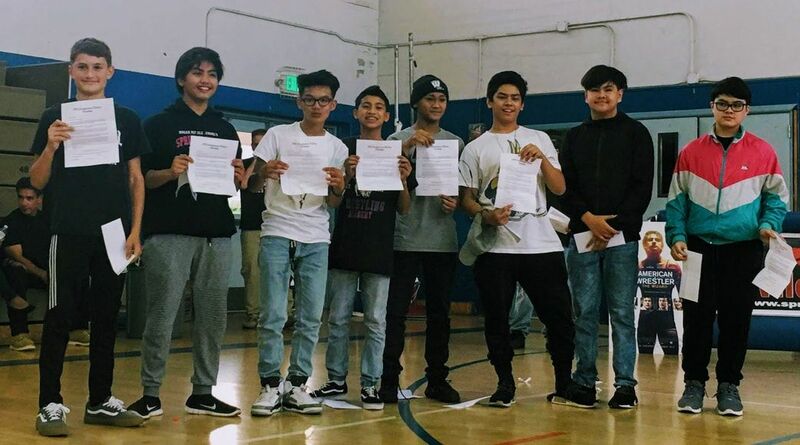 The Academy was led by 1st place finishers Noah Delavega, Dylan Deleon, Dylan Tadeo, Henric Duropan, Julian Meneses, Lauren Deleon, Kaileah Ramos-Wong, Jaedyn Strebel, Daisy Huerta, Zophia Santiago, Agatha Alansalon, Crystal Fraire and Ximena Flores! The California Girls Middle School State event came back to Vallejo for the 15th Annual Event. The Lady Wildcats managed to tie for 5th place in the 54 team field. Scoring medals for the Academy were Daisy Huerta(3rd), Sara Armenta(5th), Natalie Pique(5th), Emily Apilado(5th), Crystal Fraire(6th), Kamarra Harris(6th) and Ilyza Sanchez(6th). About two dozen Lady Wildcats kicked off Spring Break by traveling to Justin-Siena High School for the Wrestle4Hope All-American Girls Classic which returned to California for the 1st time since 2015. They joined an amazing group of girls from throughout California in a collaborative effort to takedown breast cancer!!! The 10th Annual Hoang Van Thu Classic was a spirited affair as our Academy Wrestlers squared off vs the Napa Sheriffs and Bancroft Broncos in the decade old event which is held in memory of Coach Guiducci's father Jim Guiducci, a Vietnam vet, to raise money to support the scholarship fund at Hoang Van Thu School in Viet Nam. In a pre-match ceremony service awards were given in the memory of Trinh and Tram Tran, who were actively involved in the Hoang Van Thu Project in large part due to their Vietnamese Heritage coupled with their giving spirit. Springstowne Alums Amanda Avelino, Franklin Avelino and Jesse Mae Huerta received memorial sweatshirts in honor of the Tran Sisters for their selfless dedication to our program. Wrestling action was competitive and many Wildcats scored well on the evening! 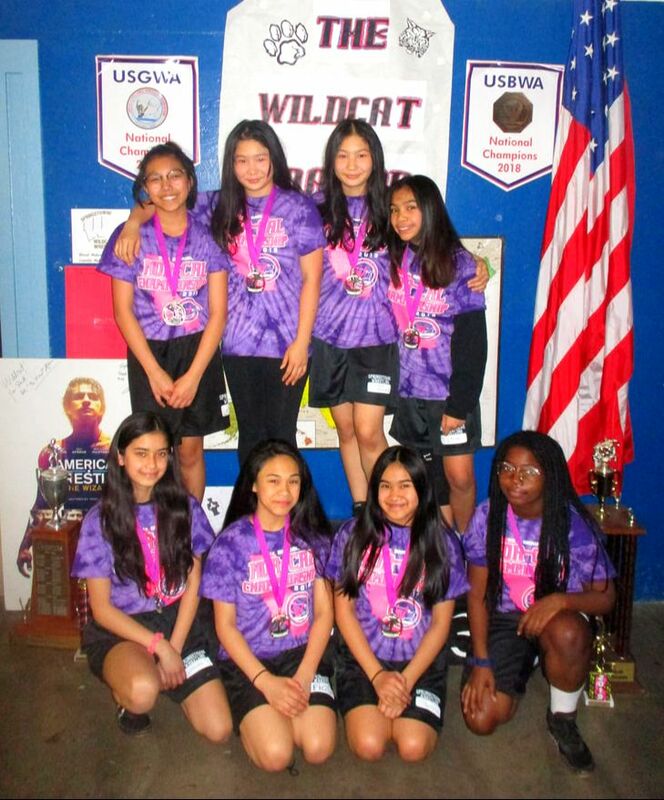 Forty-Four Lady Wildcats earned medals at the 20th Annual United States Girls' Wrestling Association Nor-Cals which drew wrestlers to Vallejo from as far North as Redding and as far South as Porterville. Of that group Reigne Ramos, Jazmine Santiago, Zophia Santiago, Daisy Huerta, Jaedyn Strebel, Natalie Pique, Emily Apilado, Kamarra Harris and Lauren Deleon scored Northern California Championship Gold Medals. Another highlight of the event was the 2nd Annual Springstowne Lady Wildcat Bake-Off/Bake-Sale which was judged by the Vallejo Soroptimists. Seventh Wildcat To Medal At T.O.C. 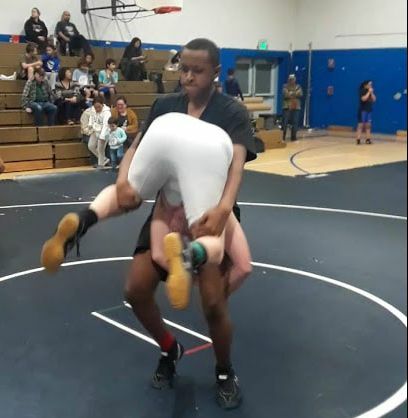 Davion Castro, an 8th grader for the Springstowne Wildcat Wrestling Academy, scored an 8th place medal at the 51st Annual Northern California Tournament of Champions in Loomis. Castro, who is in his 3rd year with the program, notched wins over wrestlers from Kerman, Paradise and Orland. He became the 7th Springstowe Wildcat Wrestler to place at the prestigious event which draws over 500 wrestlers from the Oregon Border to the North and to Tehachapi in the south! A handful of Wildcats medalled at the North Coast Championships in Windsor led by Jacob Louie who took 3rd place to qualify for the Northern California Tournament of Champions. Davion Castro who qualified previously chipped in a 4th place medal. In girls action the Lady Wildcats were led by Crystal Fraire who won a gold medal, while Sara Armenta and Daisy Huerta stuck Silver medals and Phamela Abesamis, Dayanaquey Deguzman and Regine Ramos added Bronze medal finishes!!! The Springstowne Wrestling Academy scored a bevy of victories in their Annual Scrimmage with our friendly rivals from Napa and San Leandro. The big winners on the day were Wildcats Makaio Jimenez Diolanto who went 3-0 and Emily Apilado, Jaedyn Strebel, Jesse Paule and Nevaeh Blayock who were all 2-0. ​Six Springstowne Wrestling Academy Wrestlers grappled at the North Peninsula Invitational in South San Francisco on Super Bowl Sunday. Davion Castro led the Wildcats scoring a Gold Medal with a 4-0 finish to qualify for the Northern California Tournament of Champions. Rounding out the medal charge were Kaden Maifeld(2nd), Julian Meneses(3rd), Dustin Dizon(3rd) and Dylan Deleon(3rd). ​Daisy Huerta also competed on the day! The Lady Wildcats took home their 11th consecutive Solano County Girls Wrestling Championship scoring 117 points to best Davis WC(58), the Napa SAL(38) and Vaca Pena(23). Nine of the female grapplers took home Gold Medals to propel the team to the win. They were Lauren Deleon, Jaedyn Strebel, Norianne Meim, Emily Apilado, Natalie Pique, Chiara Benavidez, Kamarra Harris, Christina Corpus and Sara Armenta. A handful of Springstowne Academy Wrestlers traveled to Vacaville for the Solano County Clash! Davion Castro came away with a 3rd place finish in the Friday night tournament! In their last event of 2018 the Wildcats notched another Winter League title outscoring the Napa SAL, the Avengers WC and Benicia MS.
Gold medal finishers Dylan Deleon, Bruce Bande, Davion Castro, Julian Meneses, DJ Avelino, Jacob Louie, Norianne Meim, LeAnna Flores, Emily Apilado, Natalie Pique, Aggy Alansalon, Kamarra Harris, Crystal Fraire and Vanya Paopao led the Wildcat charge to victory. The Wildcats scored 191 points to win their 5th North Bay Invitational, outpacing the the Napa SAL(45), Benicia(37), Avengers WC-Napa(30) and Westborough MS-South San Francisco(25). Leading the way for the Academy were Gold Medal winners Lauren Deleon, Norianne Meim, Emily Apilado, Natalie Pique, Phamela Abesamis, Kamarra Harris, Cristina Corpus, Sara Armenta and Vanya Papao in the girls division and boys divison Champions Dylan Deleon, Davion Castro, Julian Meneses, DeAngelo Limutau, DJ Avelino and Jeffery Valenzuela! ​Over 70 Wildcats took to the mat in our Annual Intra-squad Kickoff Scrimmage on 11-1-18. A few of the top performers on the day were Daniel Feria and Jazmine Santiago who both wrestled multiple matches and went 2 and 0 on the day!!! Excellent job to the 42 Wildcat Wrestlers who put in the work learning from our talented group of Wildcat Wrestling Alumni as well as our nine elementary school kids who participated in our sibling clinic. Congratulations to our Middle School Mini-Takedown Tournamet Champions Chiara Benavidez, DJ Avelino, Julian Meneses, Jhay Pedeglorio, Brandon Guiducci, Sara Armenta, Natalie Pique, Norianne Meim nd Lun Contreras!!! Left Picture/Top Row: Diego Barba '15, Anthony Bonifacio '16, Niel B. Guanlao '18, Cesar Delgado '18, Natalie Smith '18, Alyssa Huynh '18, Lyric Aguigui '18 and Alina Pham '18. Front Row: Mililani Jimenez-Diolanto '16, Nicolai delos Reyes '18, Shelly Avelino '13, Ricki Liang '11 and Cherie Luu '18. Tremendous efforts by all the wrestlers at the 8th Annual Philippines Wrestling Showcase! Special Thanks to Duzin Dizon of Riceman Productions for the amazing highlight video!!! Lead Actor George Kosturos with the Diolanto-Jimenez family of our Academy. ​American Wrestler: The Wizard came to Vallejo's Empress Theatre on September 13th to inspire our community as a tribute to Trinh and Tram Tran. ​Special thanks to Ali Afshar and George Kosturos for coming to inspire our kids and also to Steven Dunsky of the Empress Theatre and Richard Freedman of the Vallejo Times-Herald for facilitating the film's screening here in Vallejo!! 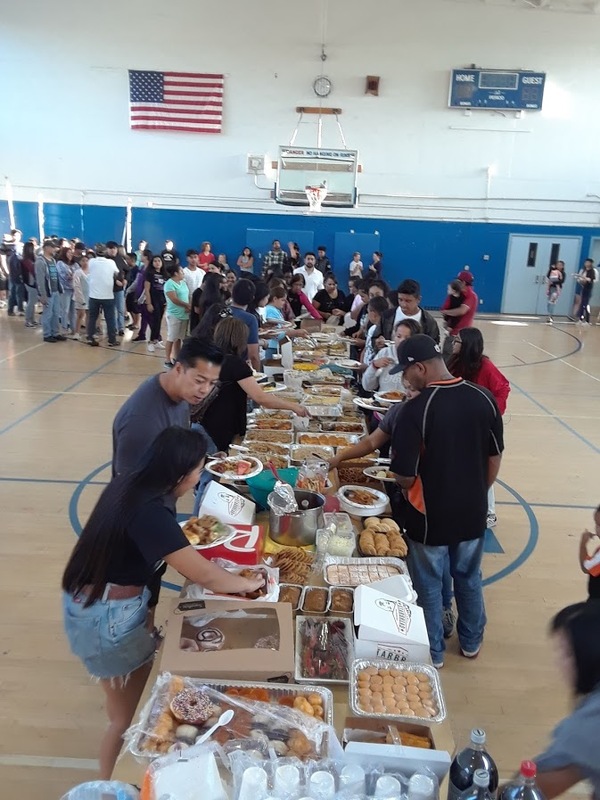 The 13th Annual Festival of Nations Kickoff Potluck was brimming with emotion as it was announced our 2018-2019 season will be dedicated to the Lady Wildcats we recently lost, Trinh and Tram Tran. In an amazing show of solidarity all were on their feet for the National Anthem played by both the Jesse Bethel High School Band and the Hogan Performance Ensemble which the Trans were an integral part of. Aside from the amazing food that our Wildcat families prepared and all enjoyed, our 8th grade veterans were ecstatic to learn that our Wildcat Boys will be headed back East to Philadelphia, PA to compete in a Beat The Streets event and our Lady Wildcats will be traveling to the War At The Shore in New Jersey. ​All Wildcat Wrestling Families are encouraged to attend the screening of American Wrestler: The Wizard on September 13, 2018. The film being shown in tribute to Trinh and Tram Tran will be free of charge with the hopes you will support the Tran Family's GoFundMe. To secure and print out free tickets visit www.empresstheatre.org. To donate to the Tran family, visit www.gofundme.com/VallejoFire. Producer Ali Afshar and Lead Actor George Kosturos will be in attendance for a Q and A!!! The Wildcat Nation is saddened to hear of the loss of Tram(left) and Trinh Tran(right) to a tragic fire and our hearts are with their sister Vy(middle) who is recovering!!! Thank you to all who came to the remembrance of these amazing young ladies. Below is their remembrance video we shared! Phamela Abesamis and Naomi Munro landed on the All-Camp Team at the June Morning Session of the Justin-Siena Wrestle Brave Summer Camp in Napa. Congratulations to Jalen Pham, Jayde Marie Soy, Jeamel Pedeglorio and Sophia Somera for completing the "Future Wildcats Wrestling For Fun Summer Camp" and thank you to Alina Pham, Jan Marcy Soy, Jhay Pedeglorio, Ishra Ferrer, Angelina Somera and Angela Elmore for being clinician -mentors!